*Note: This is a work of historical fiction. The author includes a note to readers about the making of this book, which did come about from an actual historical event, but has fictionalized what follows and fictionalized the actions of characters, some of which were actual historical figures of the time. This novel centers around the historical event of a peace conference in 1854, held at Ft. Laramie. 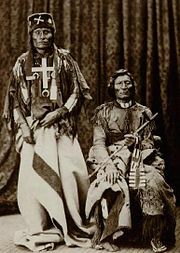 A Cheyenne chief, Little Wolf, requests one thousand white women to be brides for his Cheyenne warriors, as their society is matrimonial. Children would belong to their mothers’ society – white man society. This was asked in hopes of assimilating the Cheyenne people, uniting two races, and creating peace. Of course, this request was met with a resounding no, and no white women ever were given to the Cheyennes as brides. However, Jim Fergus has written this novel and changed history: in his novel, the United States government sends the white women to marry into the Cheyenne tribes. Among the wealthy, ancestral insanity has always been a source of deep-rooted embarrassment. The novel begins with an introduction by Will Dodd, the great-grandson of May Dodd. He wonders what truly became of his great-grandmother, as his is a family of considerable money, high in the ranks of society and there is a rumored family legend that she ran off to live with Indians. Secrets are kept close to the bosom about May Dodd, the black mark in the Dodd family. Born March 20, 1850…second daughter of J. Hamilton and Hortense Dodd. Hospitalized at age 23 for a nervous disorder. Died in hospital, February 17, 1876. The rumors of May’s life fuel young Will’s yearning for true discovery of his ancestor, especially after his father wastes away the rest of the family fortune and his brother does not return from Vietnam. Will puts his college degree to good use, becoming the editor in chief of a local magazine, and stumbles upon May’s name in researching information for an article. It sparks an interest in him, and he delves deeper into his family’s archives, where he discovers May’s letter to her children. This leads Will to a reservation, where he discovers May has left several journals that have been kept safe. The novel is broken into notebooks, serving the purpose of various points of reference and time, distinguishing significant changes in May Dodd’s life. 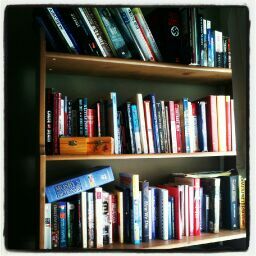 From this point it opens up into May’s journals, with each entry meticulously dated. In total, there are seven notebooks.Indeed, there are even some letters contained within her first few notebooks – letters to her sister, also named Hortense, and letters to the father of her two children. May explains how she landed in an asylum – placed there at the hands of her own family. Hers is a wretched life, but then one day something odd happens: two strangers come to the institution. They are seeking volunteers to lend themselves to the U.S. government as brides for the Indians, in a back-door, hush-hush operation. Who would want to admit to the public that he’d authorized – and set in motion – for white women to be sent to breed with the savages? That would be quite scandalous, indeed. This is an incentive for May. She could very well be free of the place! And that is just what she sets out to do, and she achieves it. It is made clear to readers that May Dodd comes from a prominent Chicago family, who mercilessly turn their backs upon her. I find it quite ingenious that she one-ups them at their own game, little unbeknownst to them, until much, much later. She is determined to take full advantage of her newly freed soul. Along the way, she meets other women who travel with her and will also marry. Hers is a mixed bag of women: a woman who worked at the asylum she was imprisoned within, a mulatto runaway slave, a large, brawny Swiss, a racist Southern belle, an Englishwoman author and artiste of bird life, a widow in mourning, a young girl from the asylum (believed to be the director of the asylum’s offspring), mischievous twin Irish sisters and a holier-than-thou evangelical Episcopalian. Indeed, I do not hold stock in organized religion of any sort, after many years of seeing the selfish and unkind actions of congregations of several different denominations. In this sense, I felt a strong sense of ties to May Dodd. In addition, the satirical way the she relates her tale through her letters and her journal entries is also endearing, and it is quickly quite clear that an asylum was not in any way a need for May Dodd. I got a bigger battery than you. Despite May Dodd’s privileged upbringing, she is not disillusioned into what her mission is: copulate with the Cheyenne population. She is on a secret mission (although not very secret at all of the stops along the way, it seems) to teach the Cheyennes how to live after the buffalo have gone. It is a tall order, and one that the Cheyennes do not really care for, although that is exactly what they asked for in their request. They get a small number of wives, sent in the first shipment, and through a series of events it becomes clear that’s all they are going to get. Indeed, it seems the U.S. government has gotten itself into some hot water in hasty decisions, and must save face to the public…and in doing so is turning its collective back on the white women it sent into the wilds to live with the barbarians. Along the way, May and her cohorts are under the direction of one Captain John Bourke. He is an actual historical figure, who served with General Crook, known to the Indians as “Three Stars.” Fergus has fictionalized Bourke in this sense, except for an excerpt at the beginning of a notebook, who grows fond of May on their short journey where he finally delivers May to Little Wolf’s tribe, but not before the two encounter one night of passion. May has been selected to be the bride of Little Wolf, the chief of one tribe on the Cheyenne. What we risk creating when we tamper with God’s natural separation of the races will not be one harmonious people, but a people dispossessed, adrift, a generation without identity or purpose, neither fish nor fowl, Indian nor Caucasian. In many cases our lives were more difficult for being of mixed blood, for we were considered neither black nor white, and resented by both. One thing that I do not believe May ever realized is that a half-breed, like the ones the women encounter on the edges of the forts, do not have a foot in either world, are not a part of either race. In this time, if you were of a mixed race – no matter what makeup they may be – you were essentially an outcast, as the above quote (from Phemie) states. May strongly believes in her mission, until Captain Bourke, unable to relinquish his tie to May, provides some unsettling details. Her new-found life is shaken to the core. There is no power in a baby’s hand. In reading this book, I had no idea what journey Fergus was taking me on as a reader, where May Dodd would eventually end up. I was left on this precipice, trying to form predictions over halfway through the book, to no avail. All things eventually begin leading in one direction, with May pushing and encouraging the direction of Little Wolf’s band of Cheyenne people, but with resistance from him until their child is born. Their daughter is unique, and Little Wolf interprets her as the Cheyenne baby Jesus, sent to save their people, but the May Dodd – and all of the other white women – know otherwise. Fergus wraps his story up with young Will Dodd finally reaching his reservation destination, speaking with other descendants of May Dodd, and a final chapter of her life is revealed through a young monk’s final chapter in her last notebook. The ending of this novel caught me entirely off guard, as I was unsure how it would wrap up. I am a sentimental person, and as such I can sometimes become agitated with an author’s lack of attentiveness to what I consider a proper ending. (I know, it’s a personal thing. I’m working on it.) However, I was highly intrigued as well because I am a Cheyenne descendant, and I wanted to know how Fergus would wrap up this fictionalized tale of the Cheyenne and May Dodd’s part in it all. I was pleasantly surprised, and my sentimental side was appeased with his gentle ending, despite my broken heart. I do commend Fergus for his amazing representation of May Dodd’s character. He has created her with a witty and sharp mind, and it is easy to forget when reading that this novel was written by a man, so well has Fergus created Dodd’s character. I highly recommend this read to any and all, especially if you are not well-versed in Native American history, specifically in terms of interactions with the United States government. Given my heritage, and general fascination with this time period, I am fairly well-versed in Native American culture and history, and nothing in this novel was out of place. Fergus is honest and clear in his representation of the government (and stronghold military) and its dealings with the Native Americans, and it is starkly seen in this novel. In addition, in the back of the novel is a reading group component comprised of three sections: a further note from Jim Fergus, a detailed interview with him, and very critical questions for book clubs. This content is usually ignored in general, I feel, but this short inclusion is well worth the few pages it’s typed on. Fergus has also included a bibliography of his research that helped him provide accurate details portrayed in the novel. Jim Fergus was born in Chicago of a French mother and an American father. 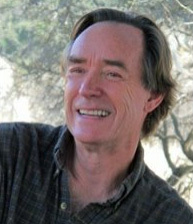 He attended high school in Massachusetts and graduated as an English major from Colorado College in 1971. He has traveled extensively and lived over the years in Colorado, Florida, the French West Indies, Idaho, France, and Arizona. For ten years he worked as a teaching tennis professional in Colorado and Florida, and in 1980 moved to the tiny town of Rand, Colorado (pop. 13), to begin his career as a full-time freelance writer. He was a contributing editor of Rocky Mountain Magazine, as well as a correspondent of Outside magazine. During the next two decades Fergus published hundreds of articles, essays, interviews and profiles in a wide variety of regional and national magazines and newspapers. His first book, a travel/sporting memoir titled, A HUNTER’S ROAD, was published by Henry Holt in 1992. 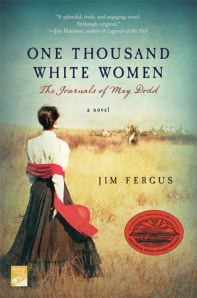 Fergus’s first novel, ONE THOUSAND WHITE WOMEN: The Journals of May Dodd was published by St. Martin’s Press in 1998. The novel won the 1999 Fiction of the Year Award from the Mountains & Plains Booksellers Association. A favorite selection of reading groups across the country, ONE THOUSAND WHITE WOMEN has since sold over 700,000 copies in the United States. The French translation – MILLE FEMMES BLANCHES – won the “Best First Foreign Novel” award, was on the bestseller list in France for 57 weeks, and has sold over 400,000 copies in that country. In 2011, Fergus published a family historical fiction in France entitled,MARIE-BLANCHE. The novel spans the entire 20th century, and tells the devastating tale of the complicated and ultimately fatal relationship between the author’s French mother and grandmother. The American edition of MARIE-BLANCHE will be published in the United States in 2014. Chrysis has just been published in America with the title THE MEMORY OF LOVE. Jim Fergus divides his time between southern Arizona, northern Colorado, and France.